PA15-NIS Nissan iPod integration kit allows you to Connect, control, and charge your iPod, iPhone, iTouch from your Nissan Infinity car stereos Works with all iPod's. 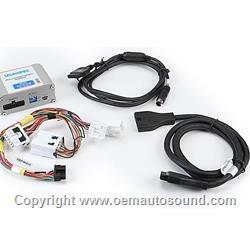 Control from, Nissan radio, iPod controls or steering wheel (must have SAT or CH/CAT button.) Displays album name, artist name, and song title on Satellite ready radios that have a Sat or XM button.Retains Nissan in dash CD-changer, Rear Seat Entertainment DVD, and Satellite radio functions. 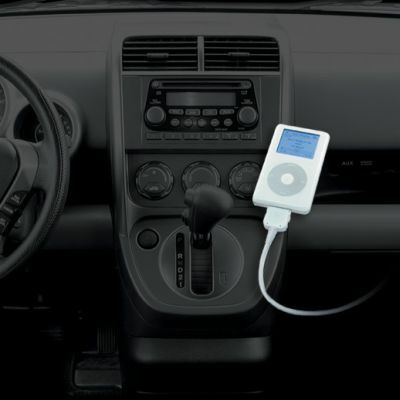 Connect and auxiliary audio device through your Nissan stereo.Three different modes to control and play iPod: Direct Mode, Folder Mode, and Playlist Mode. Folder Mode: Text based song search by Album, Artist, or Playlist name. Direct Mode: Search and select music on iPod just as you would in portable use. Complete access to all the contents on iPhone and iTouch. If using and iPhone You can use Direct Mode to listen to music streamed through Pandora or Livio radio. Playlist Mode: Use iTunes to create up to 4 favorite mobile playlist and access them directly from the radio. Radios that are Satellite ready, Sat button Cat Button will display iPod text. PA15-NIS-PA15-INFI connects to the Sat receiver while PA15-NIS connects to the radio.